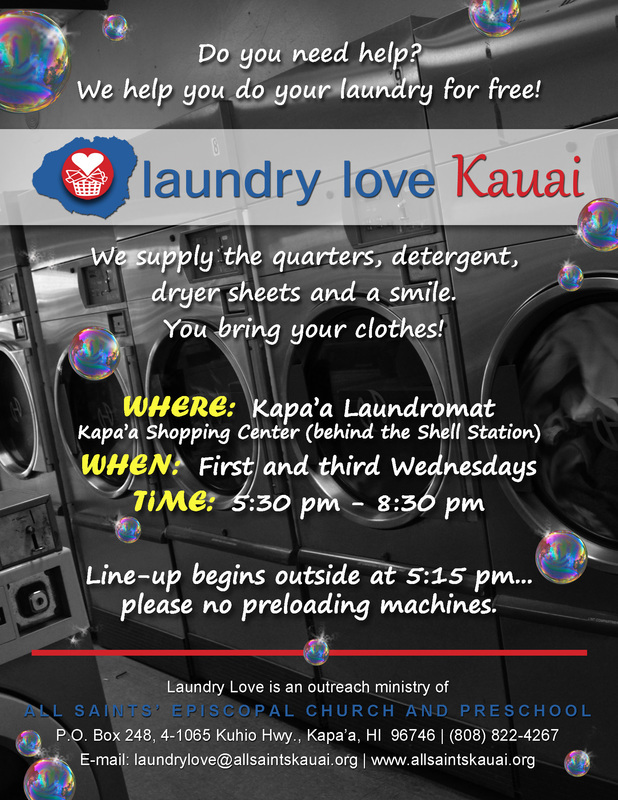 All Saints' offers the LAUNDY LOVE ministry the first and third Wednesdays of each month from 5:30PM - 8:30PM at the Kapaa Laundromat in the Kapaa Shopping Center. All Saints’ launched Hawaii’s first Laundry Love program in June 2015. Volunteers are called upon to assist patrons with loading, transferring, and folding their laundry, while “talking story” and building relationships. The All Saints’ Outreach budget, private donations, and grant funding provide the needed resources to offer free loads of laundry, detergent, and dryer sheets. If you are interested in donating to Laundry Love Kauai, please fill out the form below. Laundry Love is an initiative in partnership with individuals, groups, and local laundromats throughout the United States. Laundry Love helps to wash the clothes and bedding of individuals and/or families living in poverty. From the infant to the aged, and across a broad spectrum of ethnicity, culture and personal story, Laundry Love seeks to nurture the well being of each person through intentional networking and friendship. The idea for Laundry Love began at an Episcopal Church in Ventura, California, and has grown into a national outreach phenomenon. Now, hundreds of churches, synagogues, mosques, and civic organizations around the country have partnered with local laundromats to adopt the program. If you are interested in learning more about Laundry Love Kauai or registering to be a volunteer, please fill out the interest form below. To support this ongoing outreach to our community, Laundry Love Kauai greatly appreciates your monetary and gift-in-kind support. To make a tax-deductible donation, you may make a check out to "All Saints' Episcopal Church" with a memo to "Laundry Love". Checks may be mailed to PO Box 248, Kapaa, HI 96746. 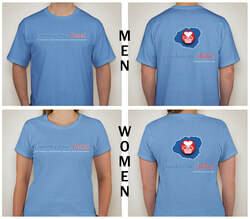 To make a gift-in-kind donation or to become a volunteer (ie. laundry detergent, dyer sheets, etc. ), please use the contact form below. If you have any questions, please do not hesitate to email laundrylove@allsaintskauai.org. Team A *Volunteers still need! Team B *Volunteers still need! Want to learn more about Laundry Love? Here is a great news video about Laundry Love courtesy of the Associated Press. 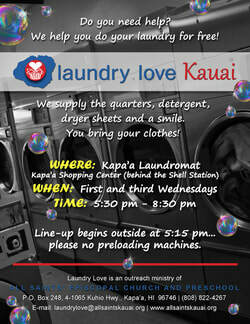 Click to view a larger version of the Laundry Love Kauai flyer.